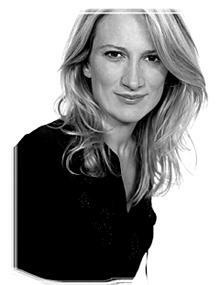 Joana Bonet became a journalist in 1984 and soon became head of the fashion section of several publications. Founder and editor in chief of Spanish fashion and lifestyle magazine Woman, she has been editor in chief of Marie Claire between 1996 and 2012. She is currently the managing director of PRISA Magazines. She has directed the book collection Women Voices for Plaza & Janés and she was the creator and director of the Children’s TV series Fadapaca – the tie-in album was published with the illustrations of renowned artist Jordi Labanda (Estrella Polar, 2009). As an author, she has published Mi vida es mía together with Anna Caballé (Plaza & Janés, 2000), Hombres, material sensible (Plaza & Janés, 2003) and Las metrosesenta (La Esfera de los Libros, 2007). Her latest work is the non-fiction essay Generación paréntesis (Planeta, 2013).